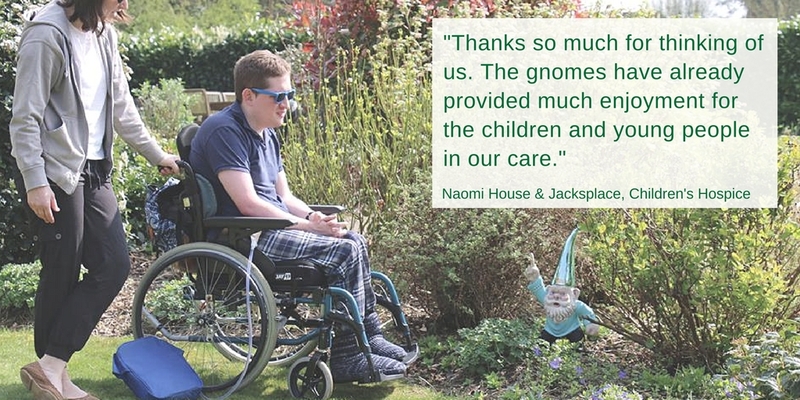 After raising a phenomenal £26,000 for Greenfingers Charity, an exclusive range of River Island garden gnomes have found their forever homes, this time in the magical gardens of children’s hospices. Four months on from the #RIGiveAGnomeAHome campaign, which saw the funky gnomes go up for sale in 68 River Island flagship stores, Greenfingers Charity are delighted to work with the high street retailer again, this time giving children and young people spending time in a hospice a full set of gnomes to enjoy themselves. The humble garden gnome, traditionally thought to be a magical creature used to guard the earth’s treasures, links perfectly with our mission to create outdoor hospice spaces for children, some of whom may not otherwise experience the therapeutic values of spending time outside.